Cottage cheese is a great source of protein for those with growing muscles or rather trying to grow their muscles, however it does have a bit of a bad rap when it comes to taste. Unfortunately, it would be considered rude of me to simply tell people to "man the f--k up" and just eat it. But hey, that's what would I do! Just think, 1 little cup of cottage cheese contains 28 grams of protein, wow! For those that are trying to consume 1 gram of protein per body weight pound per day...this helps A LOT! I can tolerate eating a cup of cottage cheese on it's own...I know what's in it and ignore the taste factor. But no one says you have to eat cottage cheese on it's own, you can mix it with fruit, I liked it with sliced tomatoes, or incorporating it in your shakes and meals. I'm not going to how cottage cheese can be prepared in this post, but I do hope to find and try some recipes that I'll search for online. 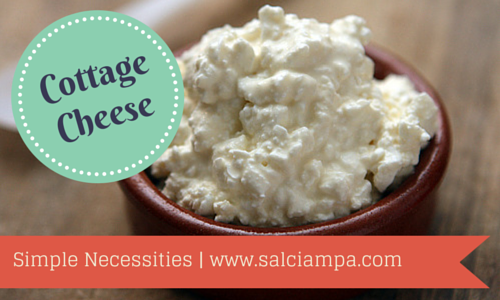 But in the meantime, cottage cheese is a cheap and easy way to boost your daily protein intake.